Environmental and left-wing foundations have poured millions into “sportsmen,” “hunting,” and “angling” groups, using them as cover to push their pet causes. See the evidence, and learn about the fringe agendas of these organizations. Why is an “angling” group concerned about world population? © 2018, All rights reserved. 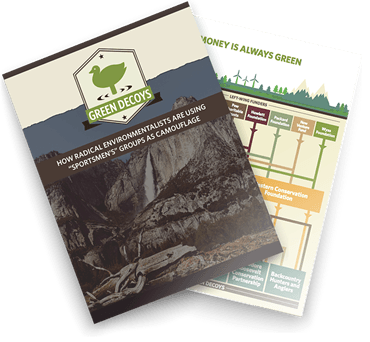 Green Decoys is a project of the Environmental Policy Alliance.